Today in Masonic History David Rowland Francis passes away in 1927. David Rowland Francis was an American politician. Francis was born in Richmond, Kentucky on October 1st, 1850. He graduated from Washington University in St. Louis in 1870. Afterwards he became a successful businessman in the St. Louis area. He also served as the president of the Merchant's Exchange. In 1885, Francis was elected the mayor of St. Louis. In 1888 he was elected as the Governor of Missouri. This made him the only person to have served as both Mayor of St. Louis and Governor of the Missouri. 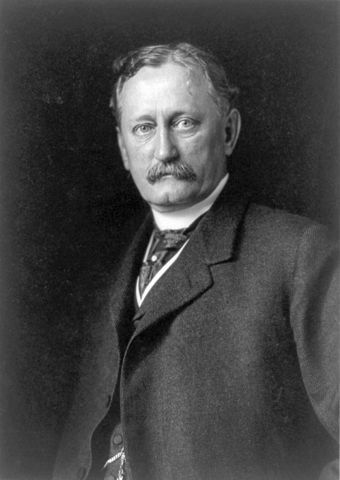 In 1896, he was appointed as the Secretary of the Interior by President Grover Cleavland. He served in that position until 1897. Francis served as president of the Louisiana Purchase Exposition, also known as the St. Louis World's Fair. More than 60 countries and 43 of the then 45 states had booths at the fair. The attendance was marked at 19.7 million people. Most historians generally emphasize the prominence of themes of race and empire, and the Fair's long-lasting impact on intellectuals in the fields of history, art history, architecture and anthropology. For the average the attendees of the fair it was a primarily promoted as entertainment, consumer goods and popular culture exhibits and events. The World's Fair was also set to coincide with the 1904 Summer Olympic games. Francis became the only American to open the games without every having served as President of the United States. From 1916 to 1917, Francis served as the United States Ambassador to the Russian Empire. His tenure included the Russian Revolution of 1917 which removed the Tsars from power. Francis' biographer stated about Francis' time in Russia as "shrouded in myth – some of that heroic, more of that comic and tragic." Francis passed away on January 15th, 1927. Francis was a member of George Washington Lodge No. 9 in St. Louis, Missouri. He was also a member of Oriental Chapter No. 78 Royal Arch Masons and Ascalon Commandery No. 16 Knights Templar. He withdrew from fraternity in 1898 for political reasons.